Keystone Hideout 175LHS Travel Trailer: Get Ready For Family Fun! Spring will be here before we know it and it’s time to start thinking about this year’s family vacation. If you’re family is new to RV camping, or you’re looking to trade in a pop-up for an enclosed camper, The Keystone Hideout 175LHS Single Axle Travel Trailer, is a great choice. With the ability to sleep up to 5 campers and a dry tow weight of less than 3400 lbs, this compact camper has everything you need for a fun family adventure into the great outdoors. Pick up and go at a moments notice with this conveniently sized RV. 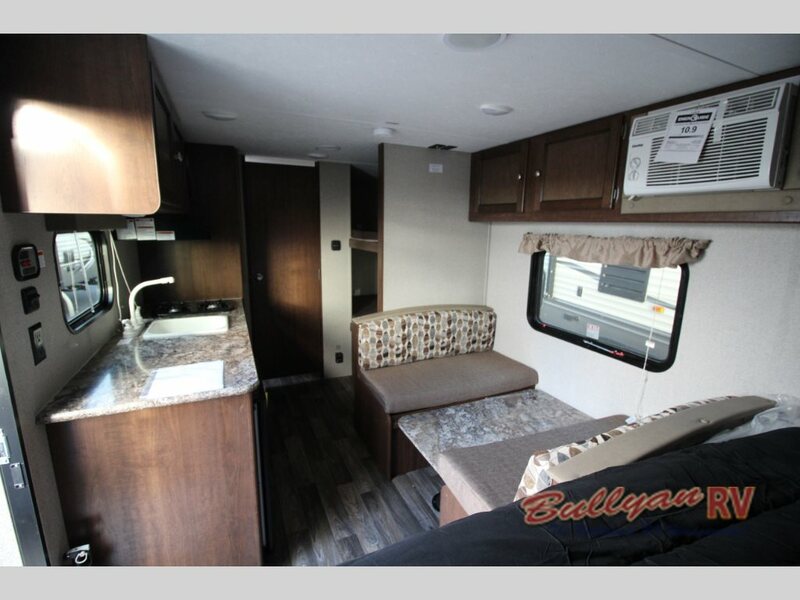 Despite the Hideout 175LHS’s footprint of only 21′ feet in length, the floorplan includes a queen sized bed, kitchen, dinette, bunkbeds, and full bathroom. 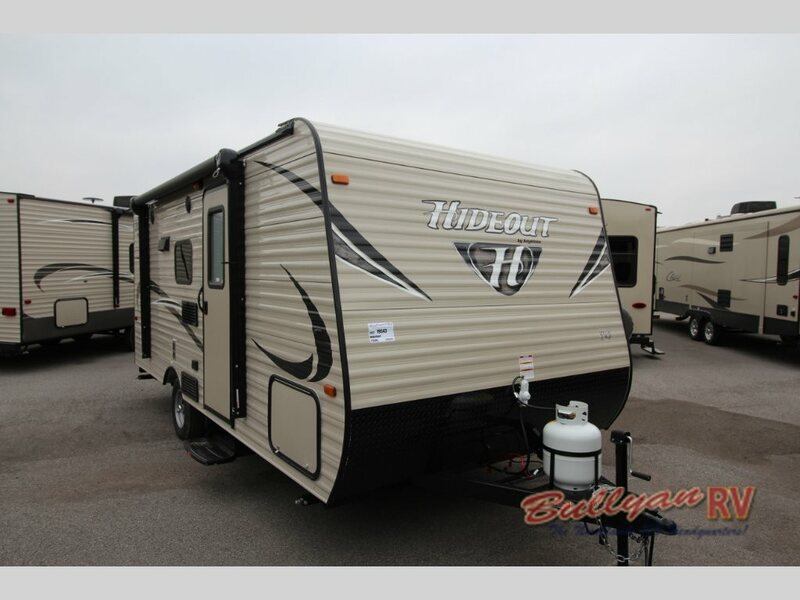 Towing the Hideout 175LHS is a breeze and can be transported by most midsized SUV’s. Save money on fuel and spend it instead on more snacks for the trip! Outside, you will find pass through storage in the front and an extra storage compartment in the rear for all your camping gear. The large patio awning extends your living space by providing extra shelter in the great outdoors. At the end of a fun filled day of swimming or exploring, you and your family can look forward to a cozy evening sleeping in enclosed camper comfort. 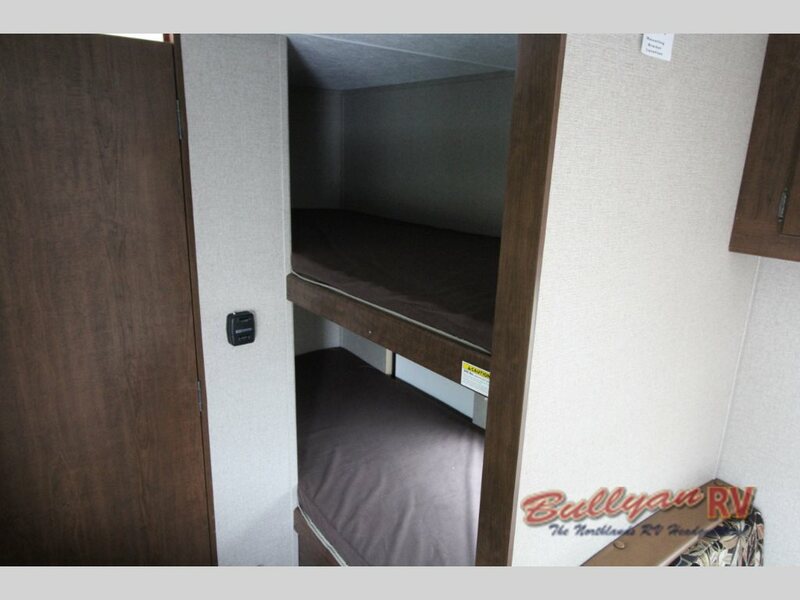 The booth dinette turns into an extra bed in addition to the two bunks and the master queen sized bed. 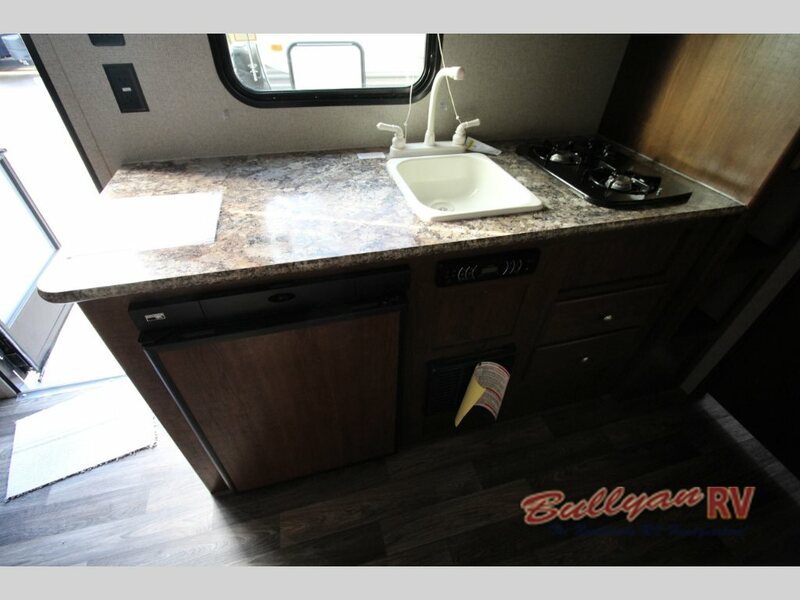 If you’re ready for exciting family camping fun this year, Contact Us At Bullyan RV about the Keystone Hideout 175LHS Travel Trailer. Or, stop by Our Location for a tour. Bring the kids!